Most clients who plan a vacation to Alaska desire to experience two places – Denali National Park or Glacier Bay National Park. 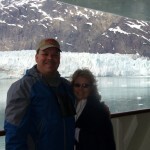 Glacier Bay can be accessed easily aboard a cruise ship; our clients can admire & view the national park’s scenery from the comfort of their balcony stateroom. 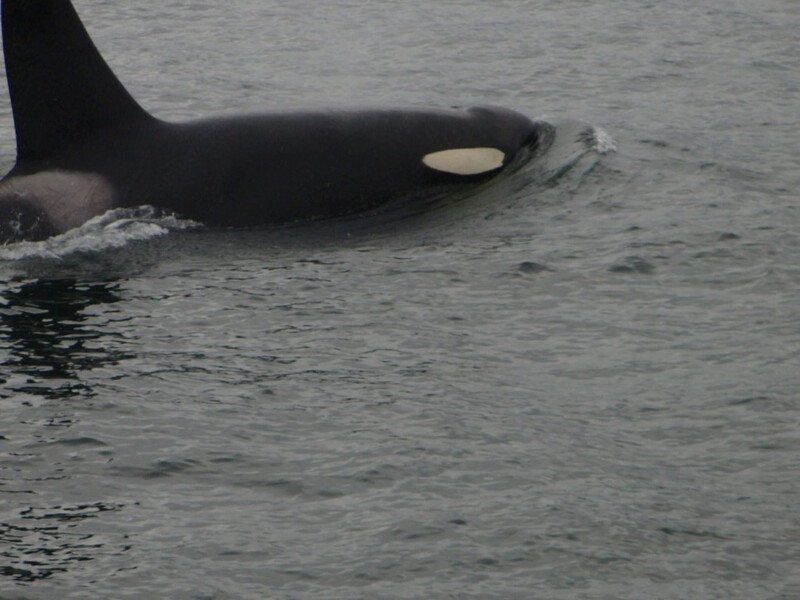 While an Alaskan cruise is the best way to experience the wonders of coastal Alaska including Glacier Bay, the interior regions of the state, including Denali, must be experienced by leaving off the ship and heading inland. This is what makes a “cruisetour” the ideal choice. 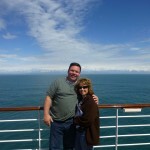 Cruisetours mix & combine a wonderful cruise vacation with a completely escorted land stay. However, you’ll only pay once in exchange for two vacations: one at sea on a cruise ship and the other on the land where you explore the interior of Alaska. 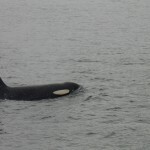 A normal cruise offers travelers a small but excellent taste of Alaska; a cruisetour gives you a complete Alaska experience. The heart of Alaska boasts the tallest peaks and largest and most famous national parks on the continent. 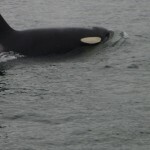 Consider extending your Alaskan cruise vacation with a visit not only to Denali, but to Fairbanks, Talkeetna, Anchorage, Kenai Peninsula and more. A great way to visit these areas is to take a spectacular rail journey. 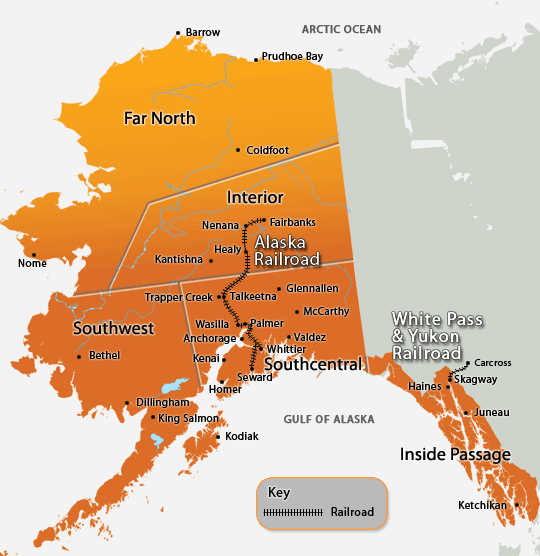 Two railroads operate in the state of Alaska: the Alaska Railroad and the White Pass & Yukon Route. 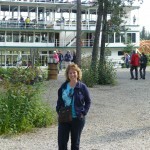 Nearly every cruise line coming into Skagway offers the train ride, as it is a fantastic shore excursion to the depths of the Alaskan interior. 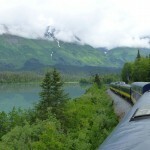 The Alaska Railroad is the last full service railroad in the United States and is known for its glass-domed rail cars and excellent service. The rail line follows a historic, unspoiled route through beautiful countryside. 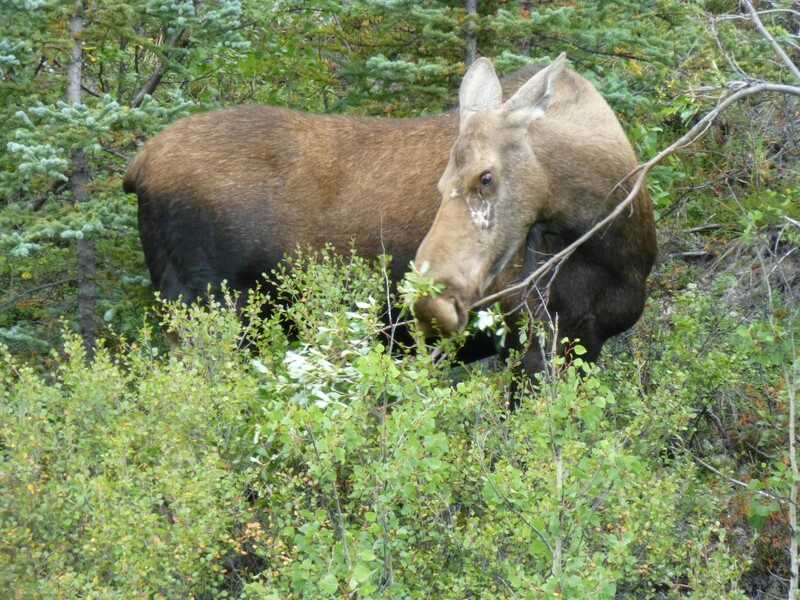 Passengers have a good chance of seeing moose and caribou while being treated to wonderful food served on white linen tables with fresh flowers. 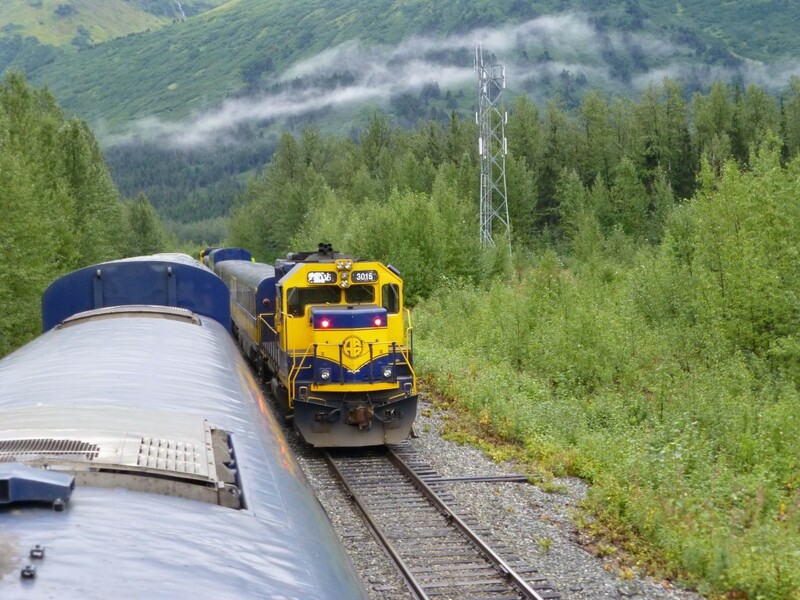 The train runs 2 routes: Seward to Anchorage and Anchorage to Fairbanks. 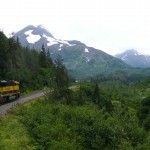 The Coastal Classic -a rail route going to the south of Anchorage, along the Turnagain Arm. The route then rises through the Kenai Peninsula’s Turnagain and Moose Passes, exiting by the sea in the town of Seward. This train trip is approximately 130 miles in each direction, or 4 hours for one way travel. 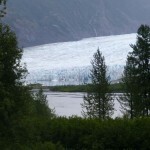 For the duration of your trip, glaciers and wildlife, like beluga whales, will be evident. 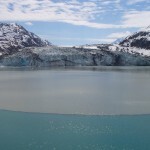 Overnighting in Seward allows you to cruise to the Kenai Fjords National Park & take a walking tour to Exit Glacier is a good choice for many tourists. 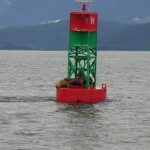 Seward is also where you can board your 7 day cruise of the inside passage. 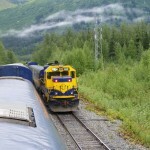 There is rail service from Anchorage to Whittier. 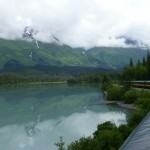 The Denali Star railroad route is an excursion taking you around the north end of Anchorage, traveling the Knik Arm. 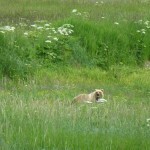 Along the way, stop off in the towns of Wasilla and Talkeetna. After 30 minutes of rail travel, you’ll begin to glimpse something spectacular: Mt. McKinley. Continuing on from Talkeetna, the route will go through Hurricane Gulch. The bridge over Hurricane Gulch has a total span of 918 feet, at a height of 296 feet above Chulitna River. Do not fail to have a camera ready! This is a once-in-a-life-time photo opportunity. In addition toHealy and Nenana, several other small communities on the trip from Denali Park to Fairbanks can be visited. 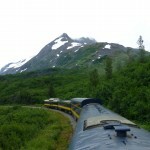 Before arriving at Denali Park you will pass though Broad Pass, the highest point on the Alaska Railroad at 2,363 feet. Over the course of the railroad trip, you’ll travel 350 miles in 12 hours. 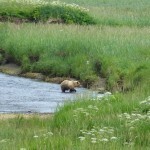 A popular option is to break up the train trip and stay in Denali National Park any number of evenings. This railroad journey offers sublime views of beautiful mountains, and a spectacular chance to wildlife like bald eagles, bear & moose. Inside Alaska’s interior, Denali National Park has an expansive acreage of six million which is composed of diverse terrain; it is a whole sub-arctic ecosystem. 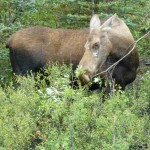 Denali National Park is located about 240 miles north of Anchorage, about 5 ½ hours by road or 8 hours by train. It is home to the paramount, or highest, mountain range in North America: Mt. McKinley. The center of attention at 20,320 feet, Mt. McKinley towers incredibly over any land in its path. Denali National Park offers the ideal opportunity to see Alaska’s wildlife such as caribou, dall sheep, grizzly bears, moose, and wolves. 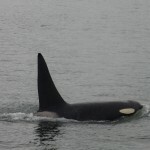 In most cruisetours, a 3 hour Natural History excursion tour is complementary. Upgrading to a cruise tour that also has a 6 hour Tundra Wildlife excursion is recommended, as it offers better access to viewing wildlife, in addition to an amazing shot of Mt. McKinley. While Denali National Park is open all year, the road into Denali National Park and most visitor conveniences are only open from the middle of May through the 3rd week in September. kayak rides, and nature walking. and kayak on rivers and lakes.